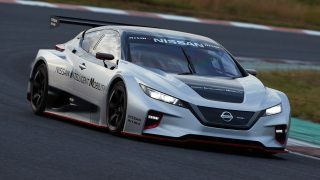 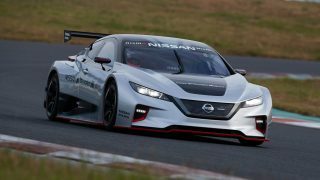 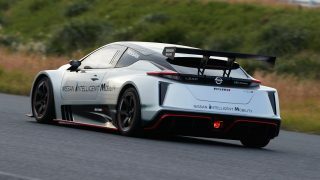 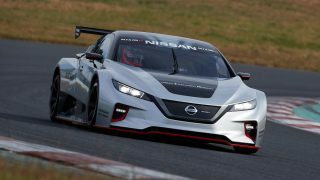 Nissan has unveiled the all-new Nissan Leaf NISMO RC at the 2018 NISMO Festival at Fuji International Speedway. 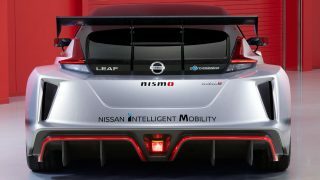 If you are wondering why Nissan would showcase a Leaf at a high-octane event, that’s because the electric hatchback has been thoroughly redeveloped into a purpose-built race car. 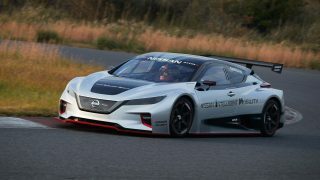 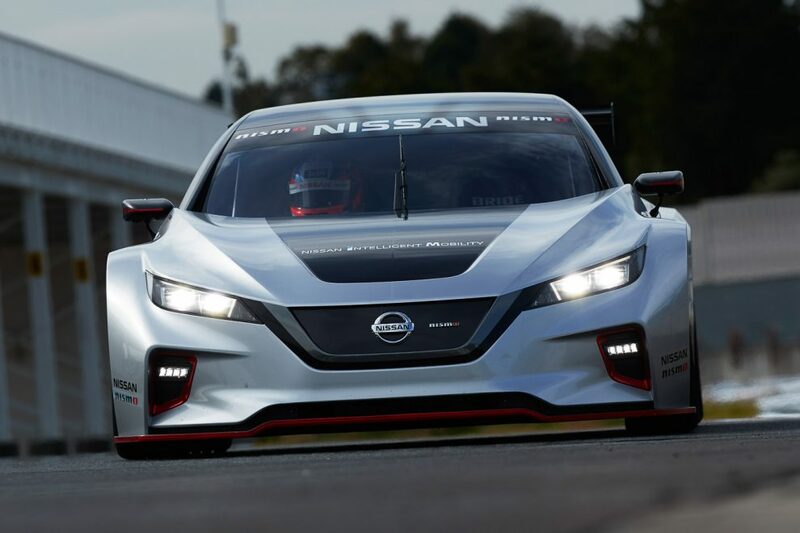 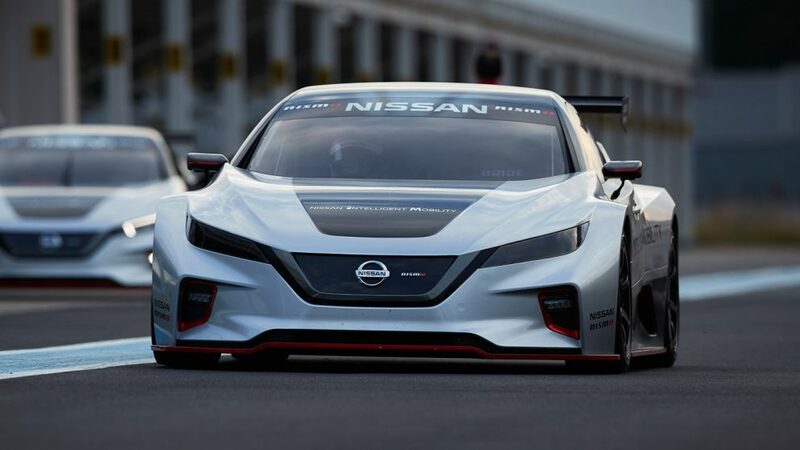 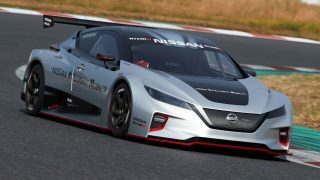 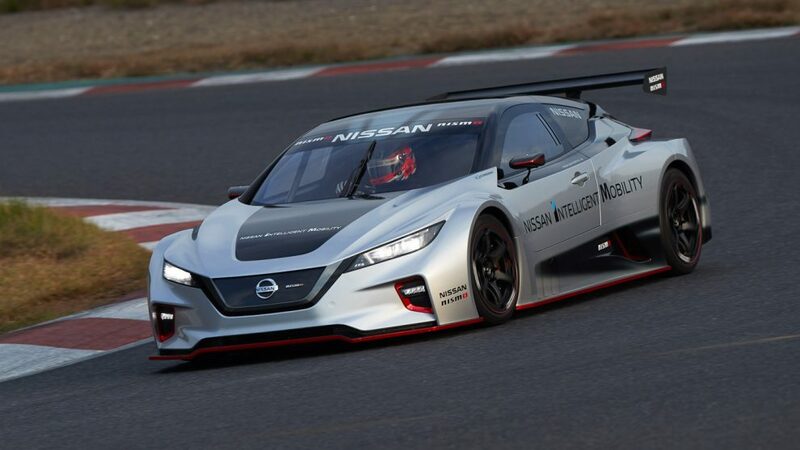 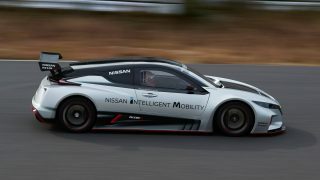 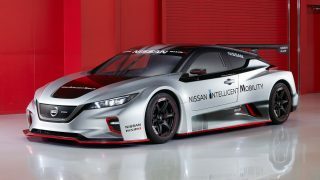 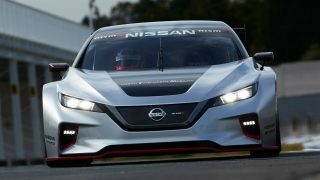 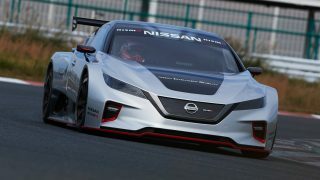 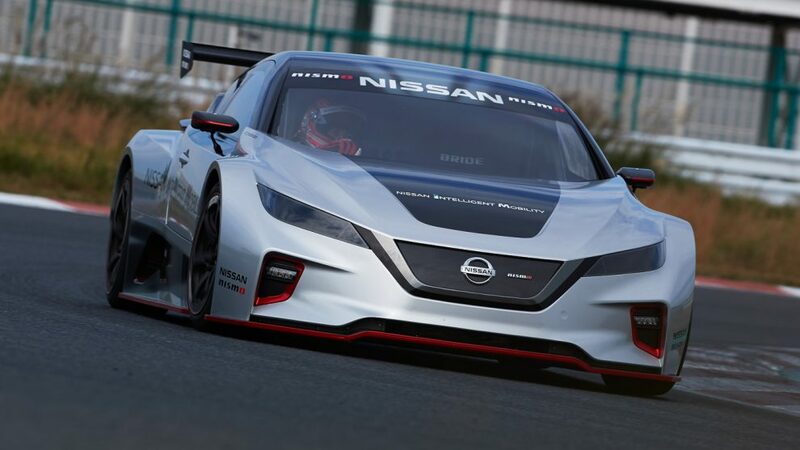 Built and developed by Nissan’s racing arm, NISMO, the only ethos shared between a standard Leaf and this race car is its all-electric drivetrain and its moniker. 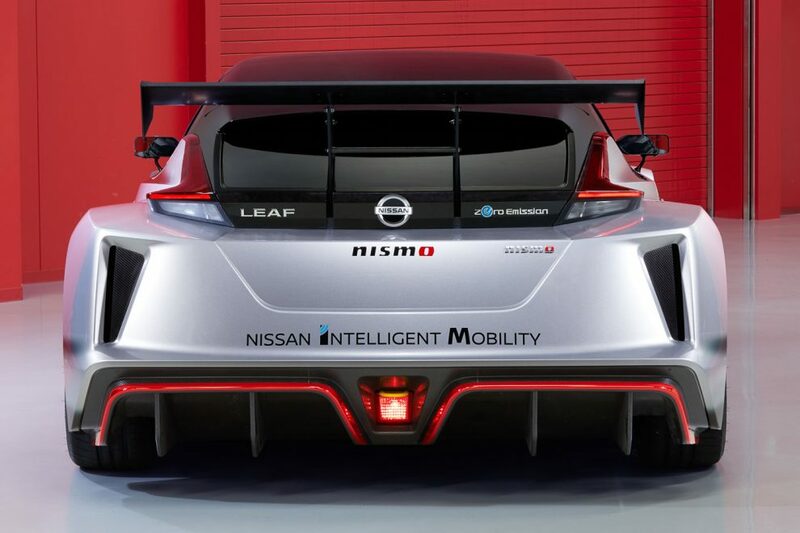 The track-ready Leaf gains a full carbon fibre racing monocoque which allowed the engineers to shed some 200 kgs to a final figure of 1,220 kg. This weight savings is significant because NISMO has fitted the race car with a dual motor set up – one on each axle. Power is now up to 240 kW (326 hp) and 640 Nm, allowing the Leaf NISMO RC to sprint from 0 to 100 km/h in 3.4 seconds. 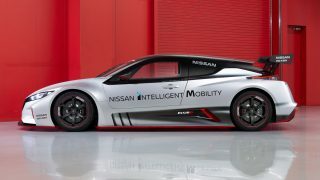 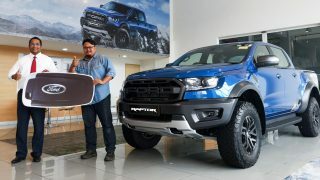 Its all-wheel-drive system gives the car remarkable agility around the corners thanks to independent torque vectoring to each axle. 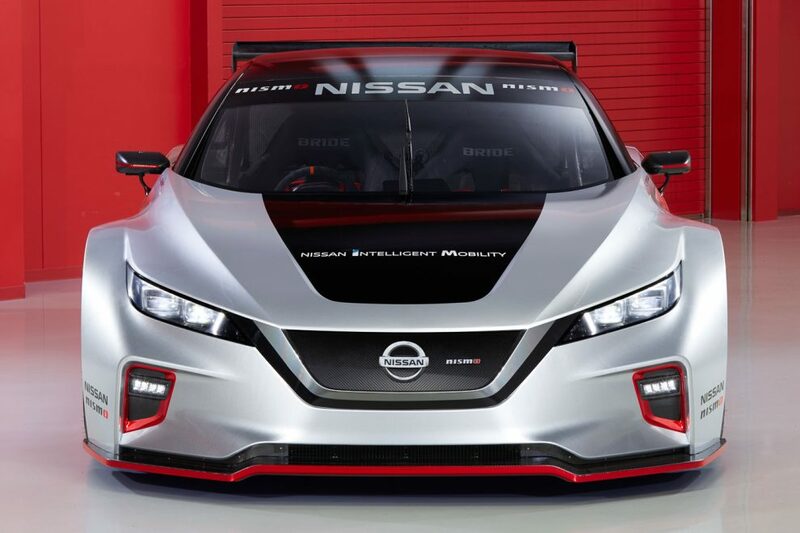 The exterior styling is nothing like what you see on a regular leaf. 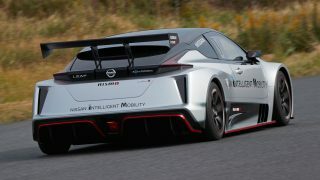 The roofline has been significantly lowered, measuring only 1,212 mm from roof to road – more than 300 mm less than the road going model. 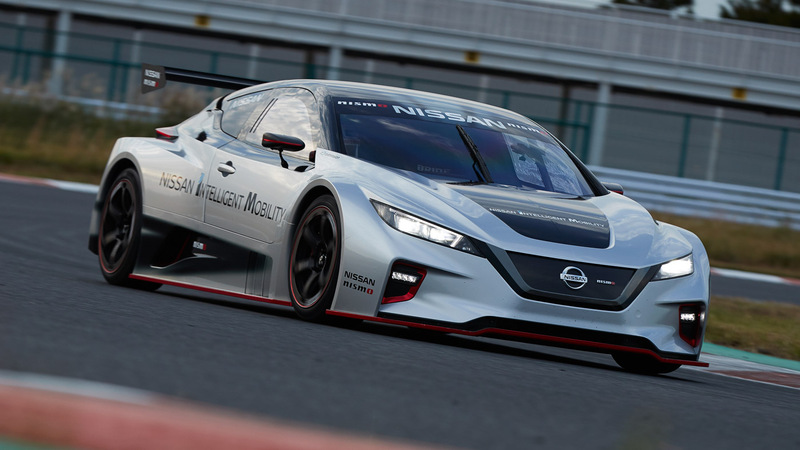 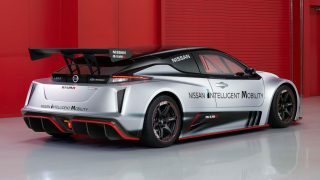 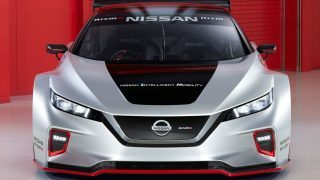 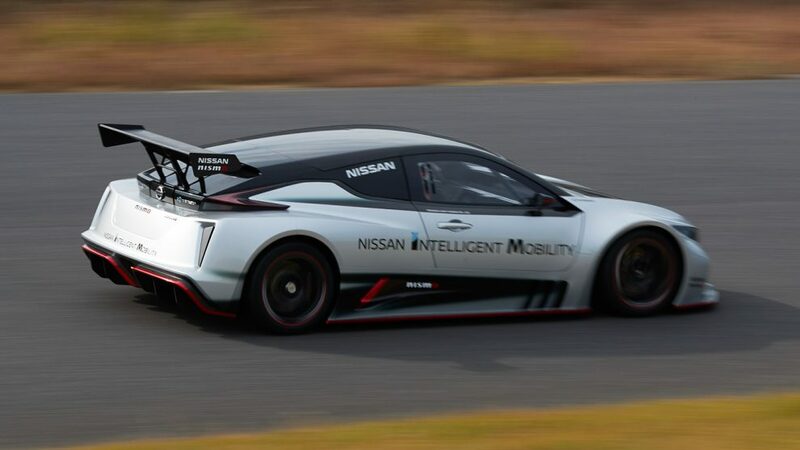 NISMO has taken design inspiration from the Nissan Formula E race car with its silver and black paint scheme, fixed windows and an adjustable rear wing.